Former parliamentary secretary to the prime minister and Conservative MP Dean Del Mastro will spend the night in a Lindsay, Ont., jail after being sentenced to one month in prison, followed by four months of house arrest, for breaking the law by overspending during the 2008 federal election. A judge in Peterborough, Ont., handed down the sentence Thursday. Failed to report a personal contribution of $21,000 to his campaign. Knowingly submitted a falsified document. Dean Del Mastro told reporters Thursday he's 'prepared to do whatever is necessary to stand for the truth.' (Sean Kilpatrick/Canadian Press) The offences are an "affront" to the principles of Canada's democratic system and the very "antithesis" of democracy, said Justice Lisa Cameron. "This type of cheating and lying will result in serious sanctions. … Custody is required to reflect the need for denunciation and deterrence," Cameron said. The former MP for Peterborough will have to pay $10,000 to the Peterborough Electoral District Association and serve a further 18 months on probation. He is also barred from running for office for five years. 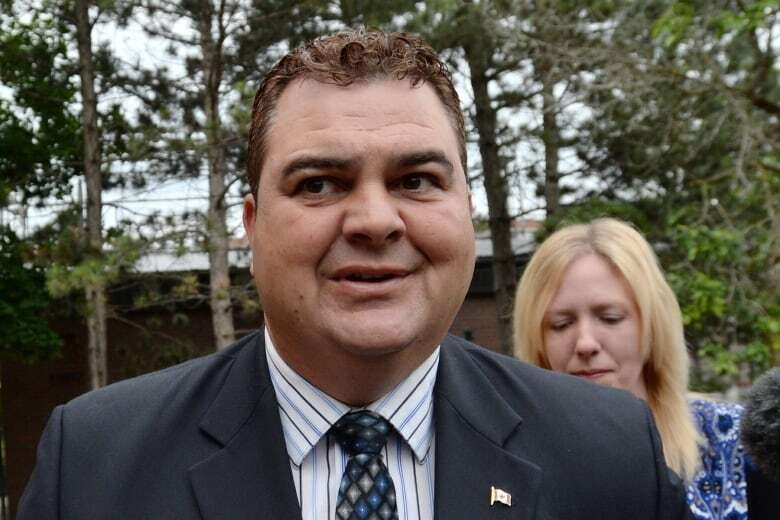 Del Mastro has filed an appeal of his October conviction and Thursday's sentence. He's expected to ask for bail pending the outcome of that appeal at a hearing on Friday. The CBC's James Cudmore reported from outside the courthouse that Cameron said his co-accused, Richard McCarthy, could have helped prevent this from happening if he had done his job better. McCarthy was the Conservatives' official agent for the Peterborough riding campaign, and was also found guilty of exceeding the federally mandated spending limit. However, the judge said McCarthy was less culpable on the scale of moral culpability than Del Mastro and sentenced him to two months of house arrest, followed by one year of probation. Del Mastro, 44, was once Prime Minister Stephen Harper's point man defending the Tories against allegations of electoral fraud. He maintained his innocence and called the verdict the judge's opinion. The Prime Minister's Office had few words in response to the sentencing of Harper's former parliamentary secretary. "Mr. Del Mastro left the caucus nearly two years ago and is being held accountable," said a spokesman. 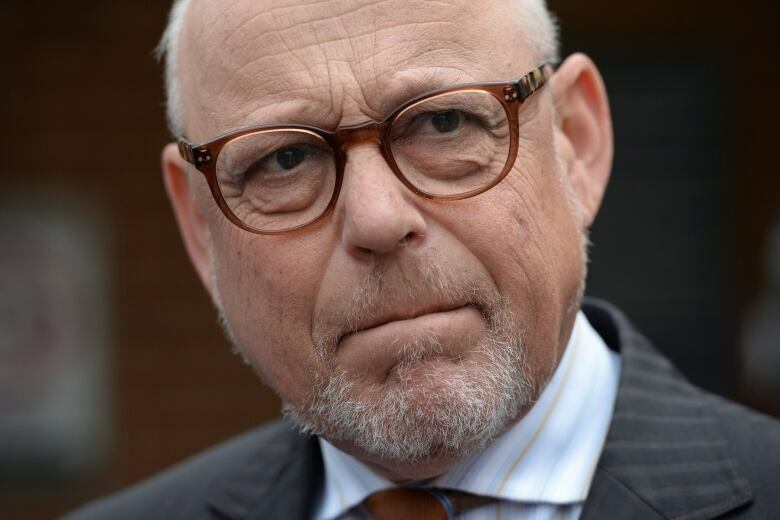 The former MP's lawyer, Leo Adler, said the sentence was "disappointing." "I think it's a shock to anybody who has gone through their life without a single criminal blemish to all of a sudden be told that you have to go to jail. And a month is a substantial period of time, for someone who's never been there." "I told him to keep his head up — which he has. It's a very surreal experience and we'll see what happens tomorrow [Friday]," Adler said. Crown prosecutor Tom Lemon said the prosecution, in terms of sentencing, was "guided to some degree by [Michael] Sona," a former Conservative staffer who was sentenced to nine months in jail last fall for violating elections rules. He was found guilty of using misleading calls to send Guelph, Ont., voters to the wrong polling station the day of the 2011 federal election. The Crown in Del Mastro's case sought a nine- to 12-month sentence. Leo Adler, former Conservative politician Dean Del Mastro's lawyer, said the jail sentence is 'disappointing' and a 'shock' for someone who's never had a single criminal blemish. (Sean Kilpatrick/Canadian Press)When asked why he should go to jail as a first-time offender, Lemon said "anything short of jail" would not have been sufficient deterrent for "Del Mastro or other candidates running an election from committing similar offences." "It has to be significant enough that it sends the message that this type of conduct will not be tolerated. And if one simply gets a fine for it, you have to ask yourself whether you would view that as a sufficient penalty," he said to reporters. NDP ethics critic Charlie Angus noted that Del Mastro was picked out of the Conservative caucus "to stand up and speak for the prime minister on issues of ethics and accountability." "The fact that Dean Del Mastro is being sent to the crowbar hotel sends a message," he said in an interview with CBC News. Del Mastro's notice of appeal filed in court on June 3 ahead of today's sentence refers to, among other things, the judge's "failure to consider the fact that the Crown's investigation was fraught with incompetence, including the failure to obtain and/or preserve key evidence." Betsy McGregor, a former Liberal candidate who lost to Del Mastro in 2008 by about 9,000 votes, told CBC's Carol Off that she feels voters and democracy were cheated — but that she hasn't given up and is now helping other women learn about how to get nominated and run. McGregor said the conviction on three charges, the sentence and the handcuffs "should signal to every candidate in our country that there are serious consequences for cheating." "And it should show voters that the law is to protect all of us and fair elections matter, and everyone's vote matters." Infrastructure Minister Denis Lebel, who made an appearance alongside Harper in Quebec City on Thursday, said the judgment "will be the line for us." "When you don't respect the rules, you have to pay the price," he said. At a pre-sentencing hearing in April, Del Mastro choked back tears as he described the "nationwide condemnation" he had to endure as a result of the charges. "There are some who would appreciate an opportunity to hold a public stoning in the town square," he told Cameron. "It's my hope that the significant consequences that I have endured and shared will be considered in your deliberations." The prosecution called for up to 12 months in jail, while the defence asked Cameron for a conditional discharge or, at most, a fine. Del Mastro resigned his Peterborough seat in the House of Commons — where he had been sitting as an Independent since being charged — shortly after his conviction and before his fellow MPs would have voted on a motion to suspend him from Parliament. By resigning, the former MP was able to hang onto his pension, which he's eligible for when he turns 55. One of the matters that would have been debated at committee, had the motion gone ahead, was Del Mastro's pension and what would happen to it. Bill C-518, a private member's bill introduced by former caucus colleague Conservative MP John Williamson, would strip MPs and senators of their pensions if they're convicted of an offence under certain provisions of the Criminal Code that occurred while the person was a sitting parliamentarian. The bill, which has not yet passed the Senate, would not apply to Del Mastro as it does not cover violations of the Canada Elections Act.